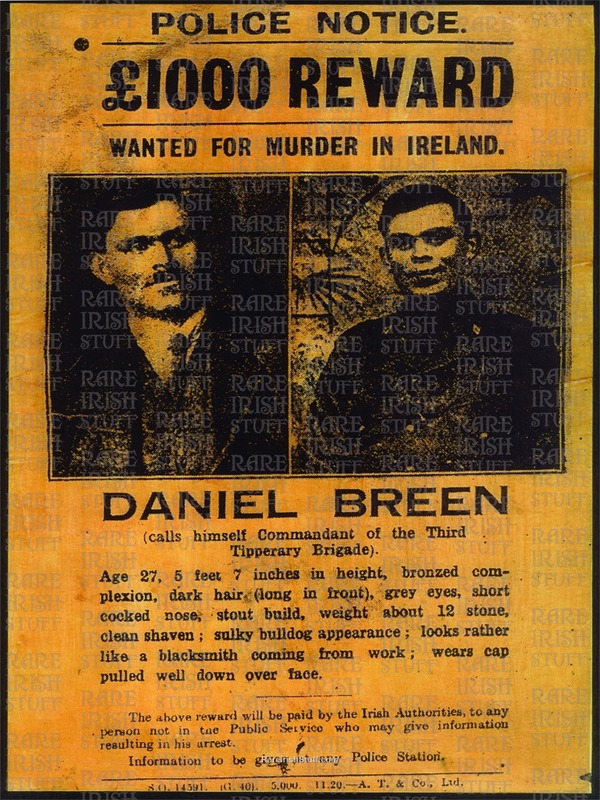 Dan Breen was one of the most wanted men in Ireland during the War of Independence. In 1920, he shot his way out of a police siege in Dublin and escaped with 22 bullet wounds! He fled to Prohibition America where he opened an illegal drinking den. Dan's speakeasy was located in Manhattan where most similar joints were controlled by organised crime. Rumour has it that Dan came into conflict with Al Capone and that Capone backed off. On his return from New York, Breen was elected TD in the Dail where he stayed until retirement in 1965 . He died in Dublin in 1969 and was buried in Donohill near the place of his birth.